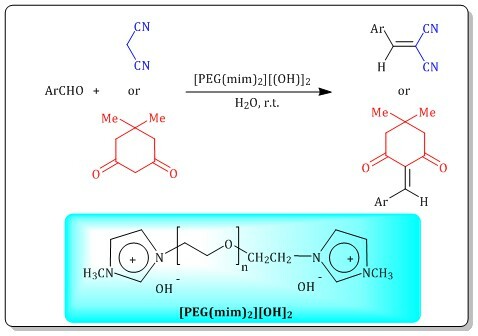 A basic phase-transfer catalyst ([PEG(mim)2][OH]2) was prepared from the reaction of polyethylene glycol-bis(N-methylimidazolium) dibromide and sodium hydroxide dissolved in water at ambient temperature. 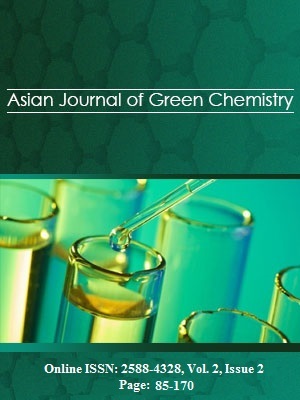 The obtained white solid was used as an efficient basic phase-transfer catalyst in Knoevenagel condensation reactions between aromatic aldehydes and active methylene compounds in water at room temperature. The reaction is done without side products and in the presence of trace amounts of the catalyst gives the corresponding products with high yields. The phase-transfer catalyst could be successfully reused without significant decrease in its activity for at least five cycles.